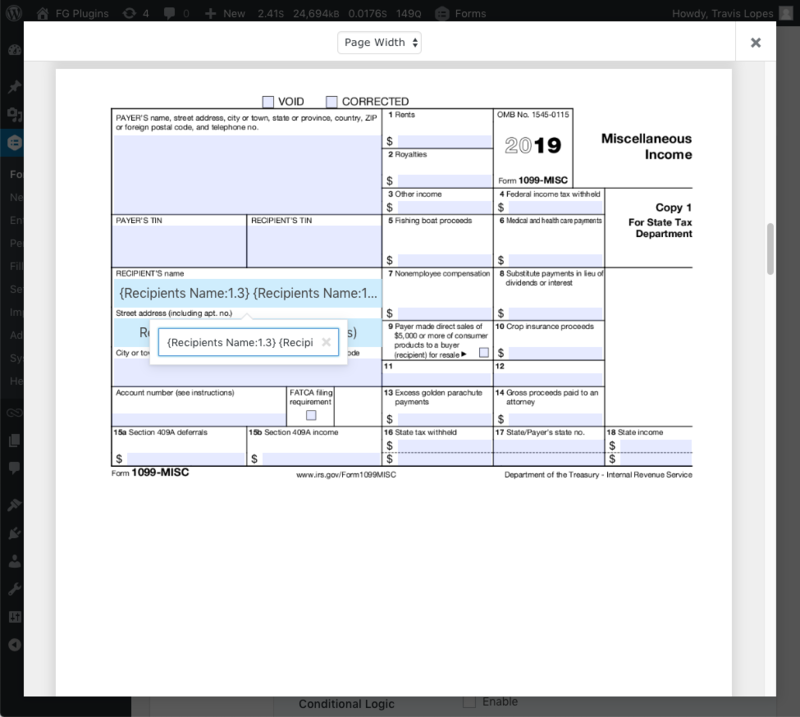 Fillable PDFs for Gravity Forms version 2.0 is now available via auto-update and for download from the Account page. This release introduces a brand new, easier to use visual template mapper, along with support for using merge tags as field values and image embedding. The main new feature in Fillable PDFs 2.0 is the brand new visual template mapper. 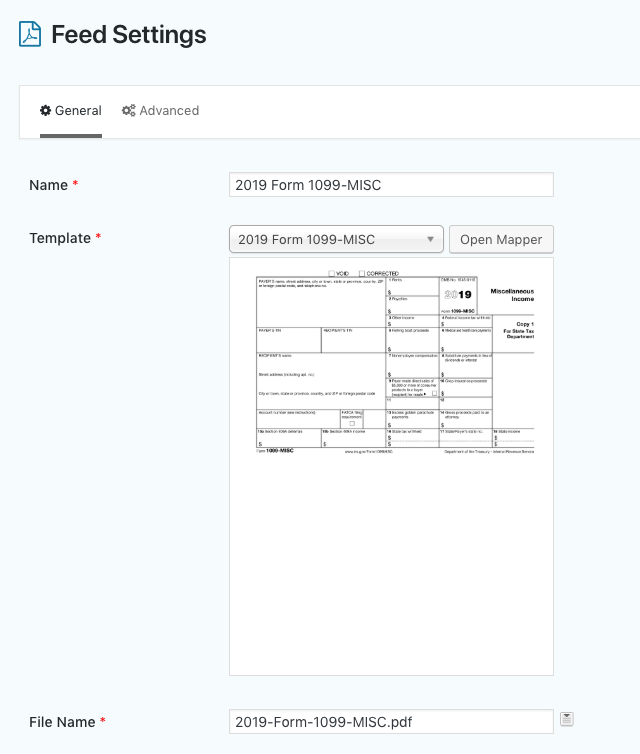 This makes it easier than ever to map your Gravity Forms fields to your PDF templates. When configuring a Fillable PDFs feed, select a template and then click on the Open Mapper button. A full screen view will appear, containing every page in your PDF. Every field detected by Fillable PDFs will be highlighted. Click on the field to select which Gravity Forms form field to map to it. Insert merge tags and custom values to combine multiple Gravity Forms fields into one PDF field. Thanks to the new engine powering Fillable PDFs, you can now embed images directly into your PDF fields. When mapping a file upload field to your PDF, you’ll get the option to embed the uploaded image into the field. The first uploaded file for multiple file upload fields will be the file used. The image will be scaled to fit the PDF field. PNG, JPG, GIF and animated GIF images are supported. The addition of image embedding support means you can also embed signatures created with Gravity Forms Signature Add-On in your PDF templates. In celebration of this new major version of Fillable PDFs, all license tiers have had their monthly PDF generation limit doubled. The price to generate PDFs above the monthly limit has also been reduced. This makes Fillable PDFs a more affordable solution if you’re only generating 75 or so PDFs a month, you can now use the starter plan as it offers up to 100 PDFs per month. These PDF generation limit changes have also been applied to existing Fillable PDFs subscriptions. 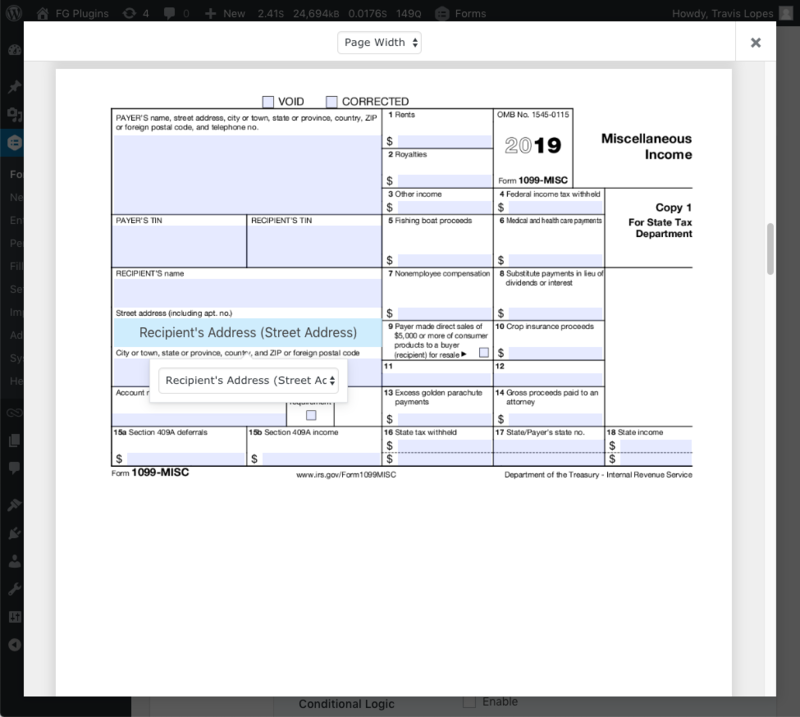 Add a new visual interface for mapping Gravity Forms fields to PDF fields. Add support for embedding images and signatures in PDF fields. Add support for Gravity Forms Personal Data tools. Add support for regenerating PDFs for existing entries. Update template creation to populate template name upon selecting file. Built with using WordPress & Gravity Forms. © 2019 ForGravity. Rights reserved. Have a question about one of our plugins? Need help with your Gravity Forms project?